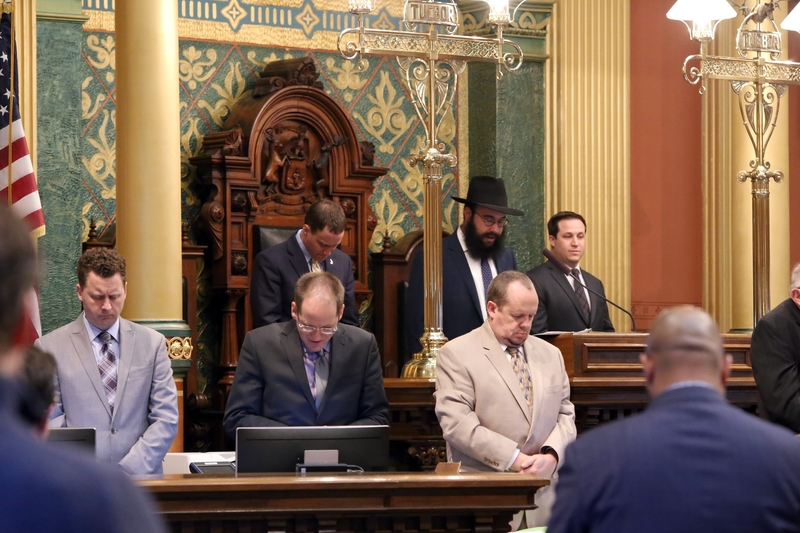 The State of Michigan joins the US Congress and every sitting President since 1978, Governors and scores of other officials in all 50 states, calling upon their citizens “to reach out to young people and work to create a better, brighter, and more hopeful future for all”. The Rebbe’s teachings emphasized the inherent goodness of mankind, the infinite potential within every individual and the profound value of even the smallest good deed. His message resonated globally and inspired multitudes around the world. 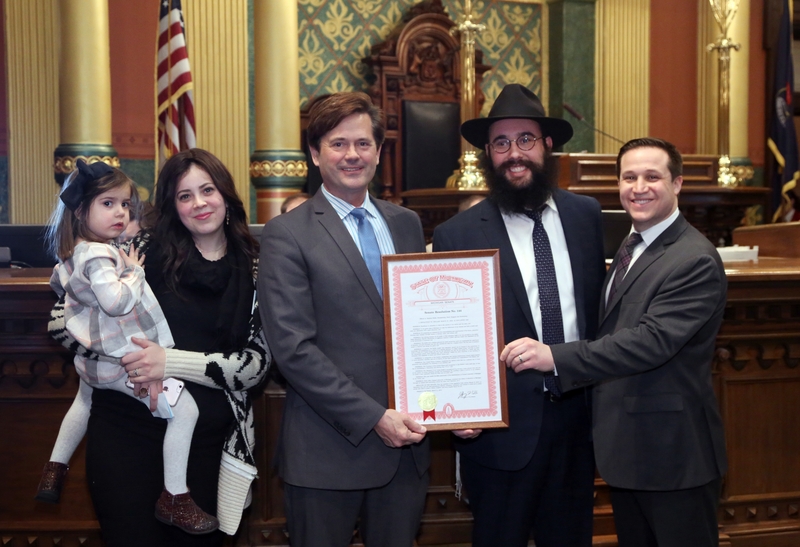 Rabbi Bentzion had the privilege of giving the invocation on Thursday in the House of Representatives preceding the announcement of this proclamation, linking the Rebbe’s contribution to education to the upcoming holiday of Passover. In the spirit of true leadership the Rebbe, empowered each of us to discover the individual and unique purpose of why we are needed on Earth. In honor of the Rebbe's birthday, take a moment to do something everlasting. Think how you are able to make a difference, and truly make the world a place that is unable to exist without you.